Welcome to FastenersOnly! 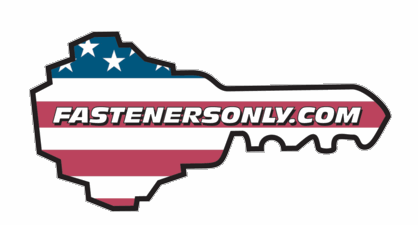 At FastenersOnly we are committed to providing you with Simpson Strong Tie fasteners at the most competitive prices. Providing you with the highest quality construction fasteners at prices you can afford. We hope you'll choose us as your supplier for all your fasteners. Thank you for shopping at our site! Some fastener products have lead times and or minimum order quantities from Simpson Strong Tie. If the product you have ordered is not in stock and will have a lead time to ship, you will be contacted the same or next business day by email with the appropriate information. NOTE: Many products are in stock, however if you have any questions.....please call our home office and ask about availability! REMINDER:UPS Shipping days are calculated from the SHIP DATE and that is not always the same as your ORDER DATE. Most orders ship same or next day. If you have questions about ship date or stock availability, please feel free to contact our home office for more information. Orders over 150 LBS will default to $0 shipping if you select regular UPS Ground due to UPS not shipping over 150 LBS. PLEASE select the "UPS GROUND (OVER 150LBS)" shipping charge for appropriate shipping costs for your order. If you do not select "UPS GROUND (OVER 150LBS)" you will be contacted with the appropriate shipping charge. If you choose a shipping method that is not applicable to your area and check out with $0 shipping. You will be contacted with the appropriate shipping charge. FastenersOnly reserves the right to ship an order by any means applicable to insure an order arrives within the allotted time frame specified by the customers shipping selection. NO DELIVERIES ON SATURDAY!!! UPS does not deliver regular ground shipments on Saturday. If you need a delivery on Saturday, please contact our home office. Any shipment that is refused on delivery will be charged a 25% restocking fee plus return shipping charges. Regarding any claims of missing product in packaging. All products are scanned and packages weighed to double check against the weight of each product for errors. UPS also reweighs each package at shipment confirming our product/package weight. If your package weight matches your product weight we will consider your order shipped complete. All claims must be made within 5 days of order receipt. All orders are shipped by carriers without a signature required. Once the shipping company drops your order at your specified location and provides us PROOF OF DELIVERY the package is your responsibility. Please be advised that by checking the terms and conditions box at check out you comply with this requirement. Please input your ship to address carefully, it is the customers responsibility to enter the correct ship to address. All returned goods must be returned with 30 days of original purchase date. Any order refused at delivery will incur the 25% restocking fee and any additional return shipping charges. ALL FASTENER PRODUCTS: 25% Restocking Charge. The following apply with all returns: 1. Your credit will reflect a 25% restocking charge. 2. No credit will be given for damaged goods or damage to the original product packaging. 3. No credit will be given for galvanized/stainless steel fasteners with red or white rust. 4. No credit will be given for obsolete, special order or non-inventory stock items. 5. Any fasteners that have been manufactured to order are NOT returnable, this is any fastener with a lead time to ship. FastenersOnly will process your return within 10 days of the date your product is received back. If non-acceptable product is returned, FastenersOnly will notify you before destroying the product or returning it to you at your cost. All RGA's expire 30 days from the published date and will not be accepted there after. Please note: We pack & ship orders FAST! There are no cancellation fees to cancel an order. However, if your order is too far along in the shipping process we will be unable to cancel it. You must check the Terms and Conditions acceptance box prior to check out. Fasteners on this website are designed and manufactured By Simpson Strong-Tie Co., Inc. for the specific purposes shown, and should not be used with other applications not approved by a qualified designer. Modifications to fasteners or changes in installation procedures should only be made by a qualified designer. The performance of such modified products or altered installation procedures is the sole responsibility of the designer. Customers or designers modifying products or installation procedures of fasteners, or designing non-catalog products for fabrication through FastenersOnly and by Simpson Strong-Tie Co., Inc. shall, regardless of specific instructions to the user, indemnify, defend, and hold harmless Sawmill Building Systems, Inc., ConnectorsOnly and Simpson Strong-Tie Co., Inc. for any and all claimed loss or damage occasioned in whole or in part by non-catalog or modified products. Consult Simpson Strong-Tie Co., Inc. for applications for which there is no catalog product, or for connectors for use in hostile environments, with excessive wood shrinkage, or with abnormal loading or erection requirements. FastenersOnly and Simpson Strong-Tie cannot and does not make any representations regarding the suitability of use or load-carrying capacities of non-catalog products. FastenersOnly and Simpson Strong-Tie provides no warranty, express or implied, on non-catalog products. F.O.B. Shipping Point unless otherwise specified.